This elegant 3-piece sword set will certainly please any serious collector or sword enthusiast. 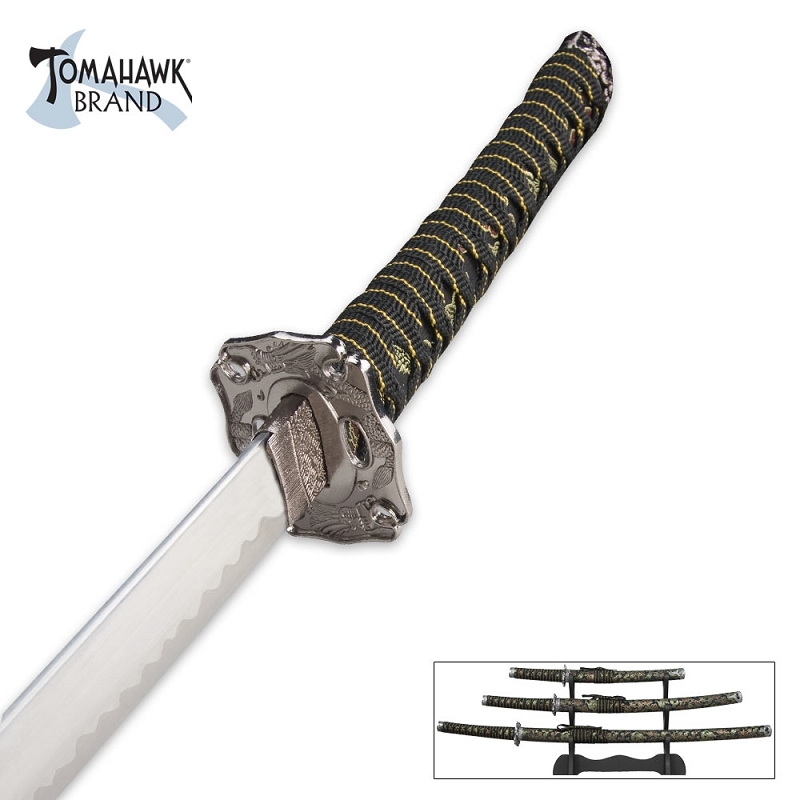 Each sword is equipped with a carbon steel blade and black and yellow nylon-cord-wrapped handles, which are accented with antiqued metal tsubas and pommels with dragon details. The black oriental fabric-covered wooden sheaths are adorned with coordinating cord wrapping and furnishings. The measurements for each item in the set are: Katana: 36 3/4" overall, 25 7/8" blade; Wakizashi: 28" overall, 18 1/4" blade; Tanto: 18 1/8" overall, 10 1/2" blade. This set includes a black wood display stand.